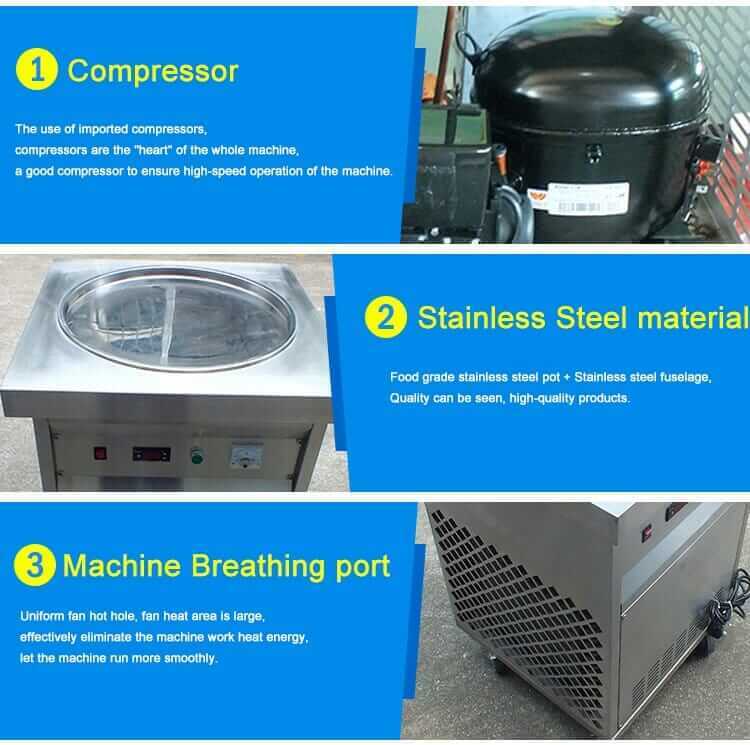 Pan fry ice cream machine is a new type of mixing ice machine that is made of compressor and evaporator. It can cause the temperature to drop rapidly. Fry ice cream roll is a popular and fashionable snack for people. 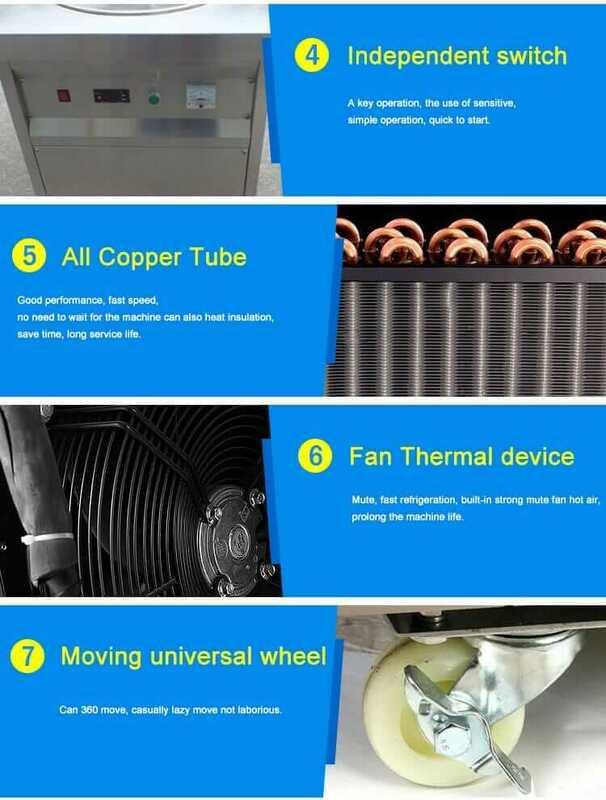 Therefore, these kind machines are very popular in the bar, night market, and restaurant for operating easily and making various pretty ice cream flowers.